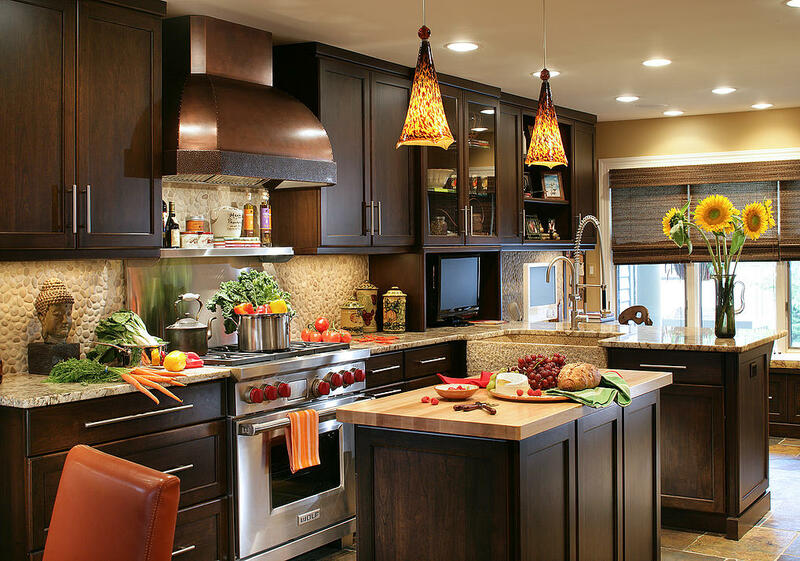 kitchen – Design Your Lifestyle. 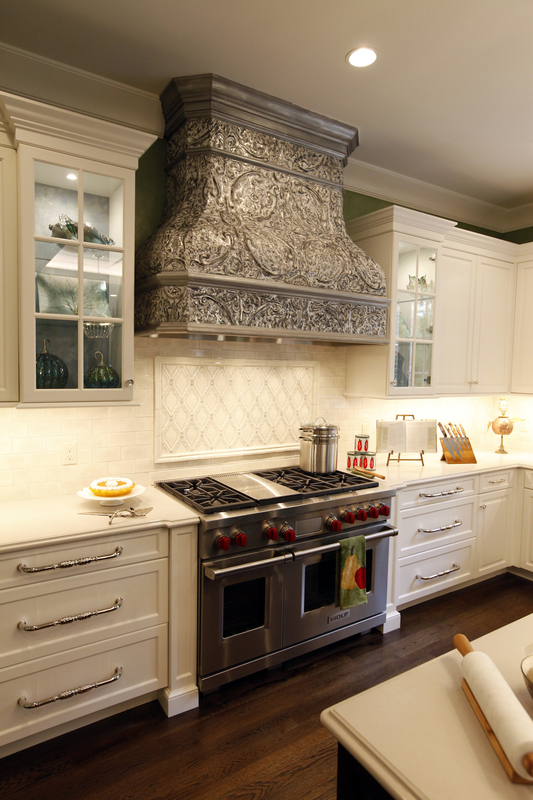 The best kitchen designs are inspired by the food created within them. 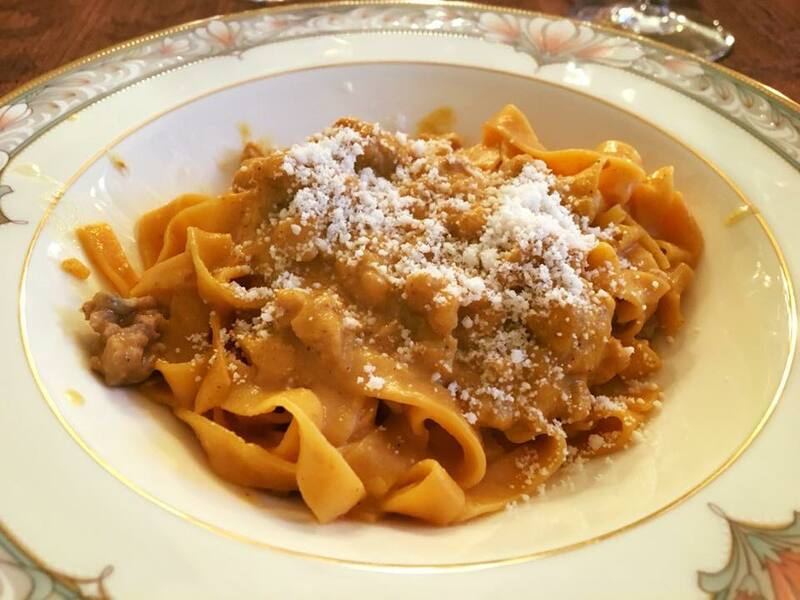 Peter Salerno’s pumpkin fettucine with creamy sausage sauce. In order to stay inspired by food, we keep a close eye on some of WordPress’ finest food, recipe and cooking sites. Some are well-traveled, while some are wonderful hidden gems in the deep and varied ocean of food blogs and online recipe collections. Oh, how we love this gem of a website. Polenta & Baccala (stylized polenta e baccala) is an invitation to cook with Graziano, who creates authentic Italian recipes coupled with marvelous photography and detailed preparation instruction. Besides the rich content and beautiful photography, the blog is presented on a visually stimulating layout. There’s no guesswork needed with the recipes at Polenta & Baccala. From preview to preparation, creation to consumption, Graziano provides the perfect “map” to all his dishes to cooks of any experience level. Couple this with Graziano’s photography expertise and his very real credentials (a native northern Italian now living in Hungary), and we promise you’ll be spending plenty of time perusing polenta e baccala for recipes and food inspiration. 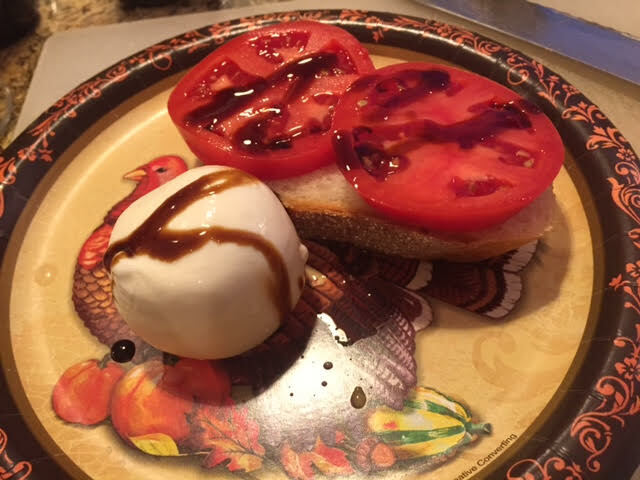 Homemade mozzarella from Peter Salerno’s kitchen. It’s important to remember that self-expression comes in all forms. While the statement one can make with food is loud, often the person preparing these artistically resounding meals is quite introverted. Such is the case with Cooking With a Wallflower, a charming (and delicious) blog run by Andrea, a dental hygienist with a passion for food. We enjoy Andrea’s perspective on food, and creating a fulfilling work-life balance between her occupation and her passion for cuisine. Cooking With a Wallflower offers a highly pleasing blend of recipes and life experiences, which reminds us that the heart and soul of every kitchen is the person who uses it. In Diane’s Kitchen is so appealing because it’s so real. Recipes are constructed with real life in mind. “What to do with those holiday leftovers?” “How can I make that recipe I saw on TV with the modest kitchen accessories I own?” Diane brings these answers to the table, crafting simple recipes that often provide amazing “bang for the buck” in terms of great rewards with minimal effort and/or skill required. 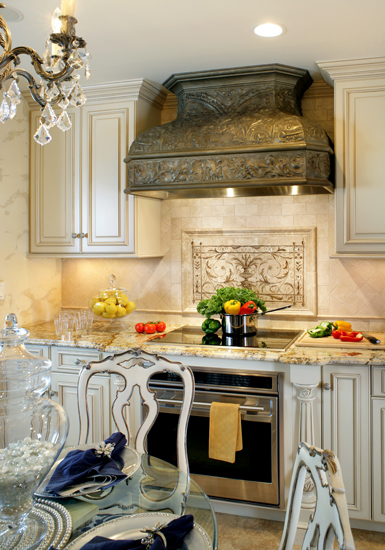 Websites like In Diane’s Kitchen help keep kitchen inspiration rooted in reality, which is an important aspect of any designer’s process. Like Diane’s recipes, a good kitchen designer knows that ease of use and simple application are of incredible importance in our daily lives. 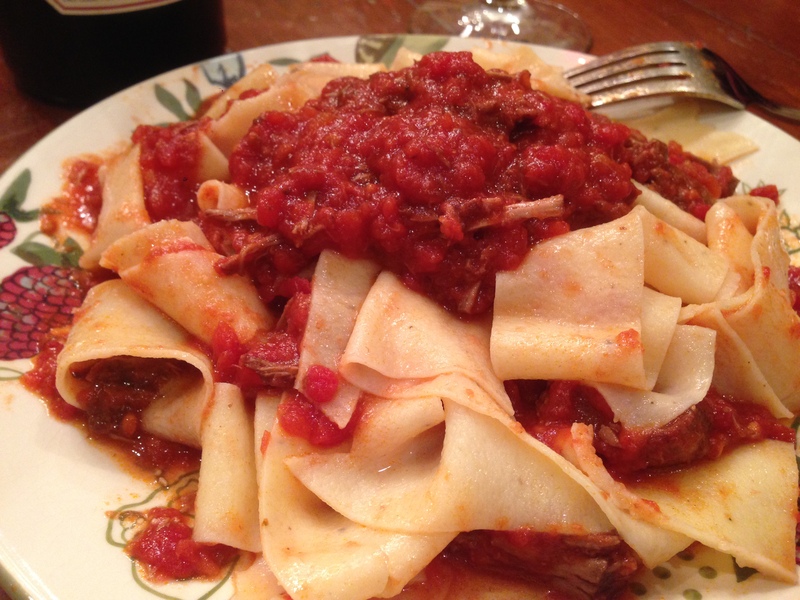 Peter Salerno’s homemade black pepper pappardelle. Sometimes, you just want to stare at some pictures of delicious food. For food photography that looks good enough to eat, we turn to Foods That Blog – a place we consider to be source material not only for food trends and food photography, but also design inspiration! The richness and variety of color and texture in Foods That Blog’s photography can serve as a muse for holistic kitchen design. It’s also helpful to observe what styles and preparations of food are on the rise, as these dishes help signal trends in kitchen appliances and overall kitchen setup. Food Photography & Recipes. A simple tagline for a simple, effective blog. Cooking Without Limits pairs a minimalist layout with simple, clean photography and to-the-point recipes to create a user-friendly experience. We love how conversational Cooking Without Limits is; each recipe is an invitation into this cook’s personal kitchen, experiences and tastes. Every recipe comes with a story, and we love that – after all, your kitchen is where so many of your life’s stories are created! What is YOUR favorite recipe, cuisine, or food photography blog or website? Leave a link in the comments and tell us why! 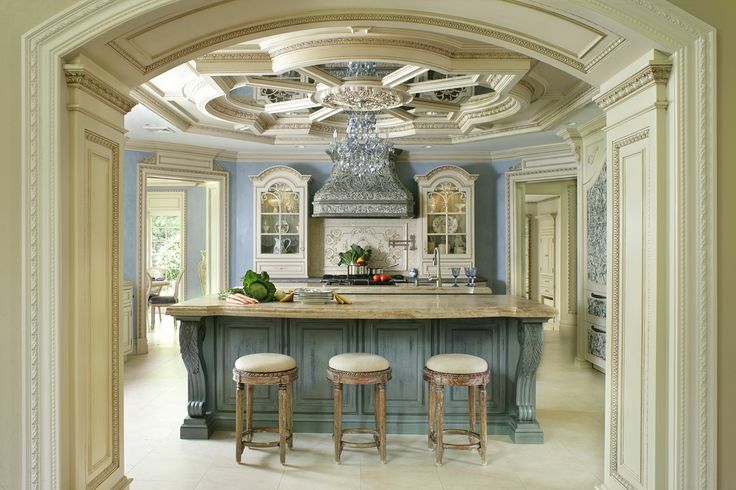 As an award-winning custom interior design firm, Peter Salerno Inc. is dedicated to providing unique creations for each of its valued clients. Much of Peter’s focus is dedicated to personalized luxury – the idea that sometimes luxury isn’t about the price tag, but the level to which a design reflects its owner. Some great examples of this personalized touch are custom carvings. Designed by Peter Salerno and his team of quality designers, these ideas make their way into the extremely capable hands of Mark Yundt (Peter Salerno Inc.’s master carver) and the rest of the team in their workshop. Custom carvings are a wonderful way to ensure that your home has facets specific to you, your family and your loved ones. As Peter Salerno himself says in the video below, “I really don’t want to pull something out of a catalog for a client… I want something that is really unique and personalized to them.” Watch how Peter, master carver Mark Yundt and the masterful craftsmen of Peter Salerno Inc. can design custom carvings for your home or office. 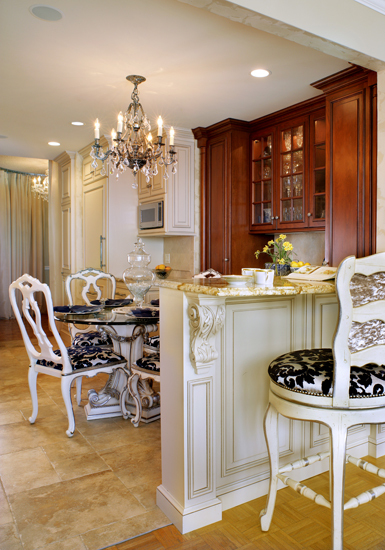 We focus on creating a luxurious and functional space that complements your lifestyle. 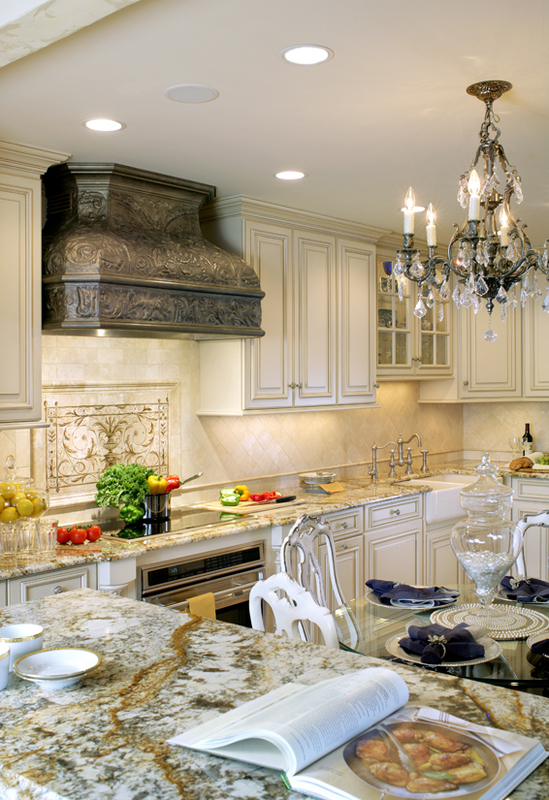 Whether a kitchen, master bath, or wine cellar, we incorporate your personality, passions, and hobbies into our design to create a finely tailored living space for you and your family. 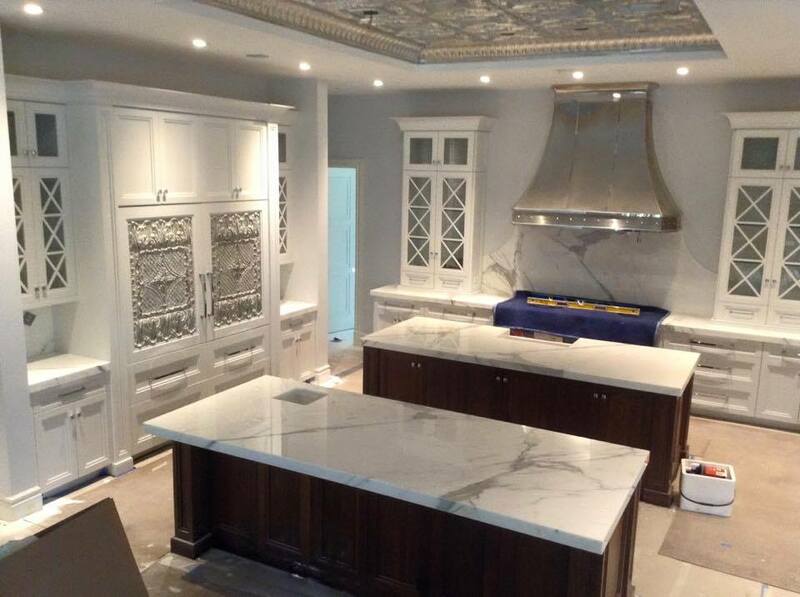 For more information about Peter Salerno Inc.’s award-winning custom woodwork, cabinets and carvings, please visit the official Peter Salerno Inc. website, call 201.251.6608, or fill out the contact form below. Transitional is a style term that’s used too universally these days. It causes many people think of plain, white, simple kitchens and baths – when, in fact, that couldn’t (and shouldn’t) be further from the truth. The Peter Salerno Inc. Transitions™ design line breaks down these imaginary walls to create the most current and cutting-edge designs using high-contrast and stainless steel, as well as brand new materials not used by any other North American designers. 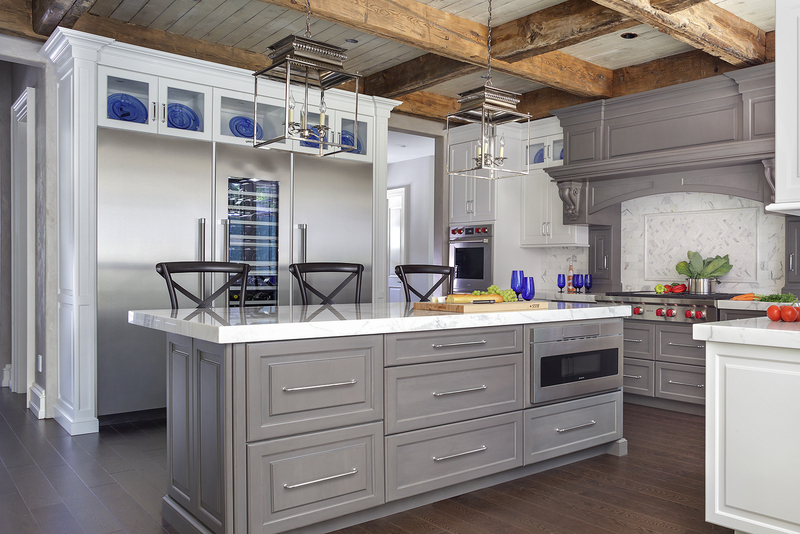 Peter Salerno Inc. has won 30 national design awards over the last 12 years, making it the most award-winning North American custom kitchen and bath design firm of this century. 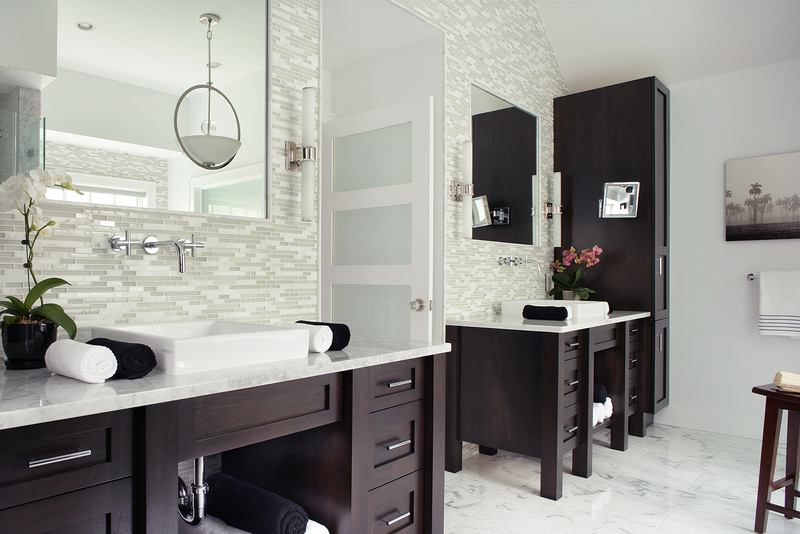 As such, Peter Salerno and his team have access to the finest designers, materials, and finishers in the industry. Transitions™ features Peter Salerno Inc.’s own molding and door styles with a variety of materials such as carbon fiber, various steels and alloys, leather, Kirinite™, exotic woods, as well as our the company’s proprietary materials and finishes developed by its finishers. With this level of prestige comes a great deal of responsibility. 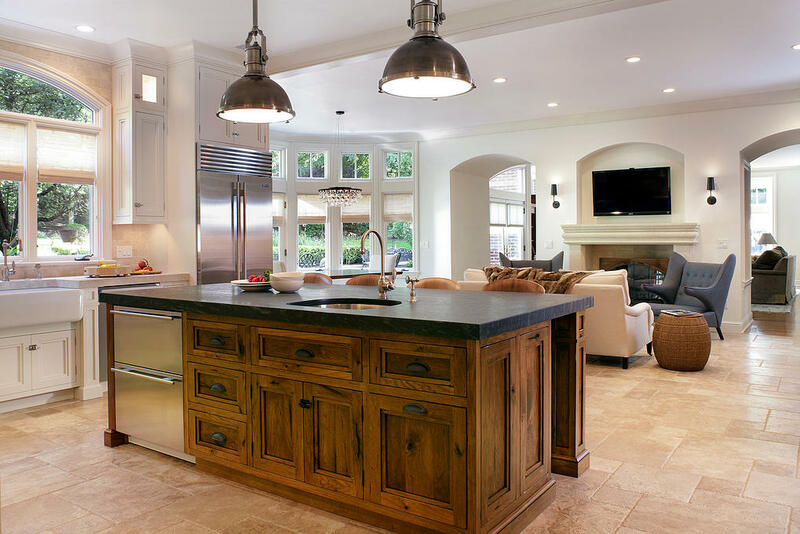 Peter Salerno stays on the cutting edge of 21st century innovation; your custom, one-of-a-kind Transitions™ kitchen or bath design will blend contemporary transitional design elements with the very latest in interactive, user-friendly technology. Of course, cutting-edge design is nothing if it isn’t personal. 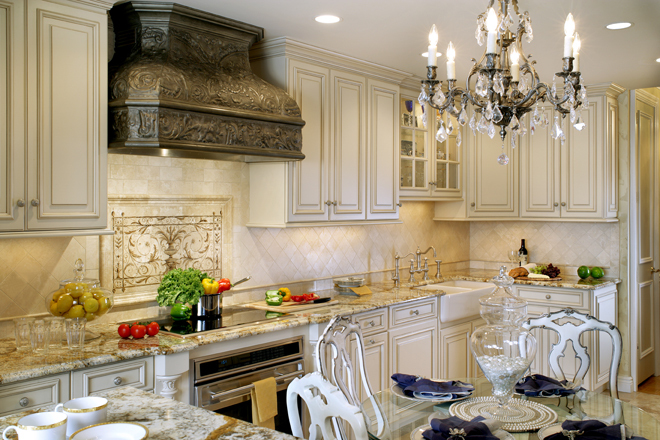 Peter Salerno works with every client personally to ensure that every Transitions™ kitchen and/or bath design blends seamlessly with the lives, tastes and personalities of its owner(s). So what are you waiting for? 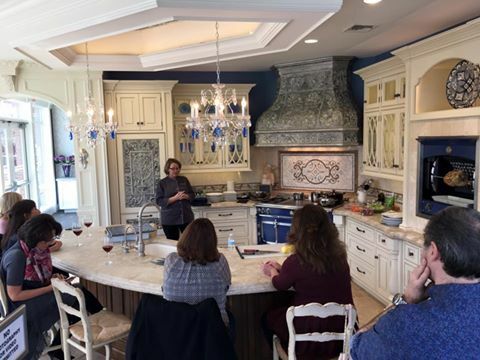 For more information on your very own Transitions™ kitchen or bath design, contact Peter Salerno Inc. at (201) 251-6608 or fill out the form below!